In this information age, it is important to get information fast. But more than fast, information must be useful. 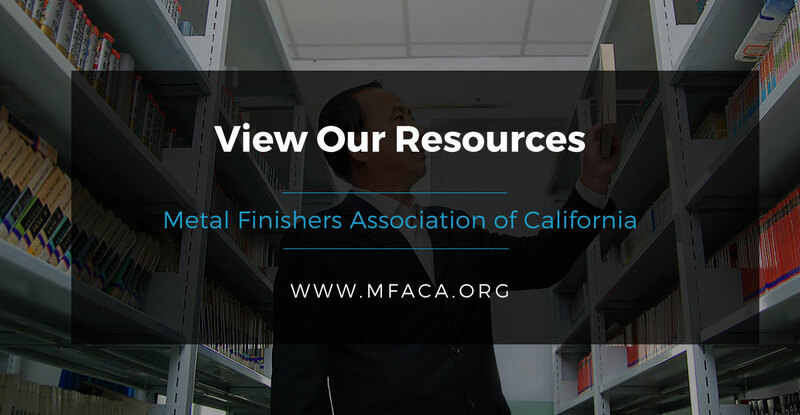 We have compiled a variety of resources to help members in your quest for more industry-related information. Please use the links below to find information. If there are links that are missing, but would be useful, send us a note and we’ll post it. And if you find a dud, let us know that, too, we’ll nuke it right away. Is Surface Finishing Green Chemistry? Past Metal Finishers Association of Southern California President Brian Wassell penned a compelling white paper on the Green Chemistry context in which surface technology operates today, explores the life cycle of elements in the finishing processes and concludes that with treatment, handling and recycling that are standard industry practice today, the well understood processes in use in the finishing industry today are GREEN!